Found this today and sort of loved it. (I have just 're-discovered' this, but I think MJHurst has discussed the image previously, I think over at AT, but I can't find it at the moment). Wow Steve, I don't remember seeing this image... it's really wonderful. Thanks for posting the link!! (I'm uploading an attachment... just in case the link stops working someday). SteveM wrote: (I have just 're-discovered' this, but I think MJHurst has discussed the image previously, I think over at AT, but I can't find it at the moment). Made by a friend from Marseille. Wilfried. 22 Majors deck to be issued by the end of this month september. There is a reason for this direction of course. Nothing to do with tarot. cried, "Ah me! To think that wine lives longer than poor little man. Is as important as we ever were! Let's live then while we may and life is dear." 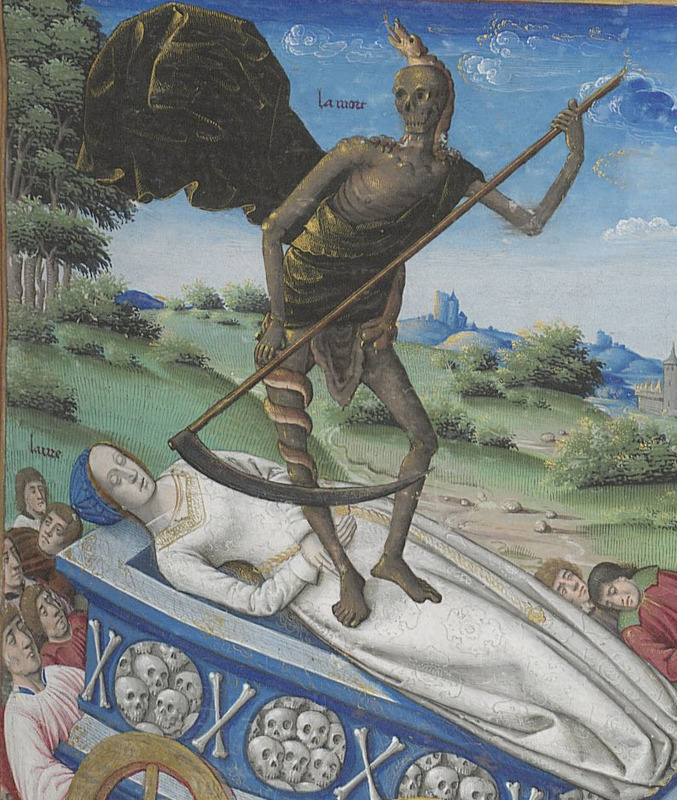 Not sure about the source, but the caption said "Bibliothèque nationale de France, Français 594, detail of f. 135r (‘Triumph of Death’). Petrarch. Trionfi. Rouen, 1503." When I saw this, I was astounded at it's freshness and how it looked like it was painted by someone like Diego Rivera in the 1930's- but no painted by Bartolo di Fredi in 1382. 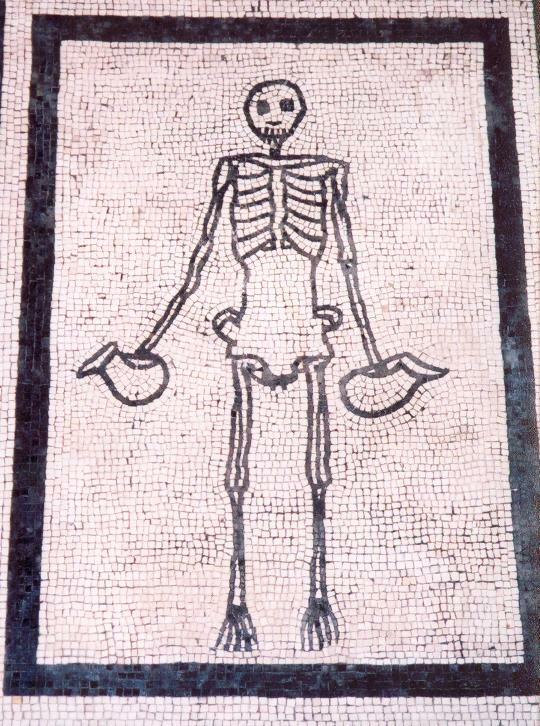 It is called 'Il Trionfo della Mort'- The Precariousness of Human life on Earth.